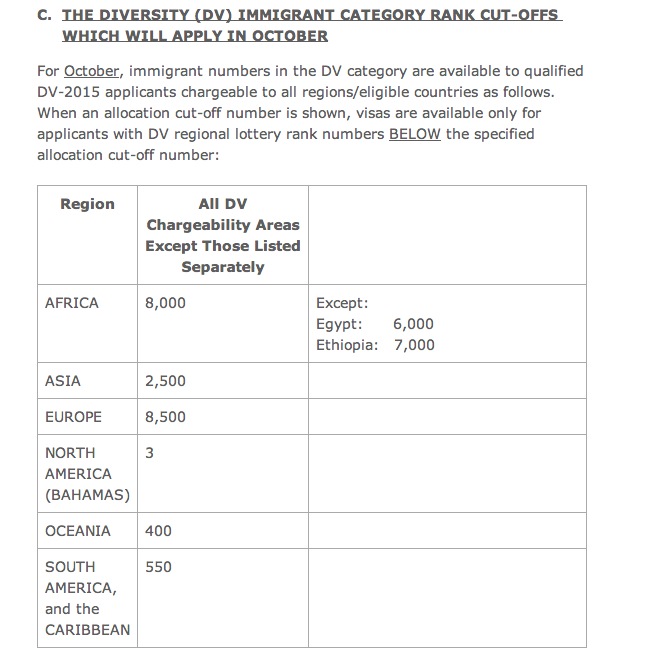 The Visa Bulletin of September 2014 is released and reveals the first cut-off numbers for DV-2015. People with a CN below the cut-off number will have their interview in October. These numbers started off pretty good!